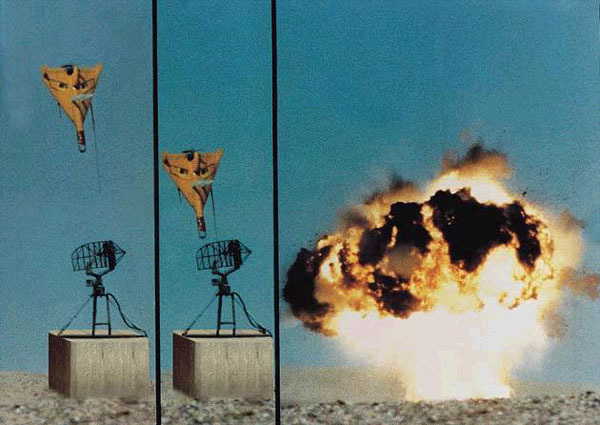 HARPY is a lethal UAV designed to detect, attack and destroy radar emitters. Harpy is a "Fire-and-Forget" all-weather, day/night autonomous weapon system, launched from a ground vehicle behind the battle zone or from ship based launchers. HARPY effectively suppresses hostile SAM and radar sites for long duration, by detecting, attacking and destroying radar targets with a very high hit accuracy. 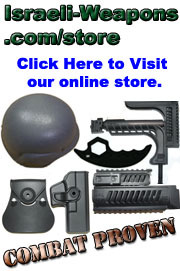 HARPY provides the most effective solution to the hostile radar problem, at the lowest price. HARPY is in production, is already operational with several nations Air Forces, and is currently available. Weighs 135 kg, 2.1 meter long, 2.7 meter span and with range of 500 km. 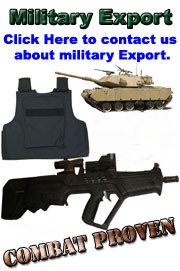 It is sealed in its sealed launcher/container, to endure harsh battlefield conditions. 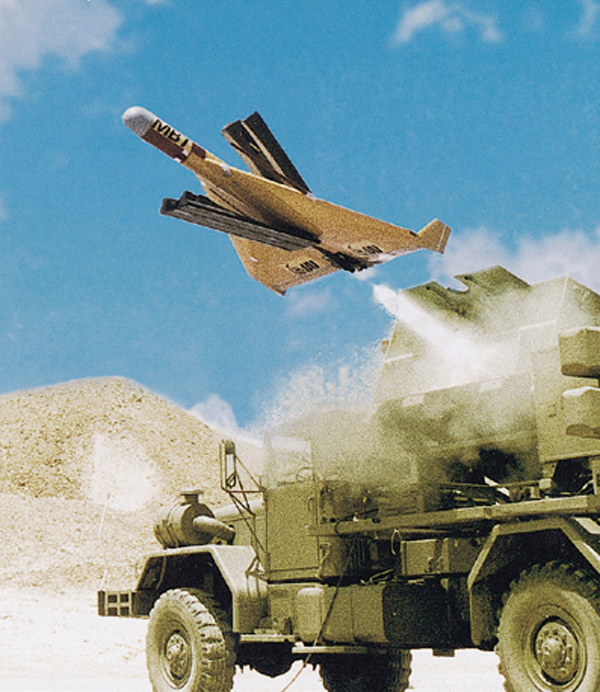 It can be fueled or defueled in the launcher, therefore retaining its readiness at all time. The system uses periodical built-in test to maintain full readiness. In a deal dating back to 1999, the Turkish Armed Forces (TAF) have taken delivery of a number on Harpy lethal unmanned aerial vehicles (UAVs) from Israel Aircraft Industries Ltd. (IAI). The exact number is unknown, but reports suggest that more than 100 lethal UAVs were delivered. 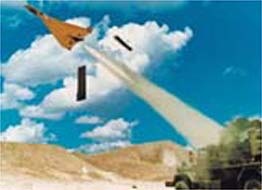 IAI's MBT Division develop and produce the Harpy system, which is an attack UAV used in the suppression of enemy aerial defences (SEAD) role. It is a ‘Fire-and-Forget' all-weather, day/night autonomous weapon system, launched from a ground vehicle mainly against hostile radar emitters, amongst others. 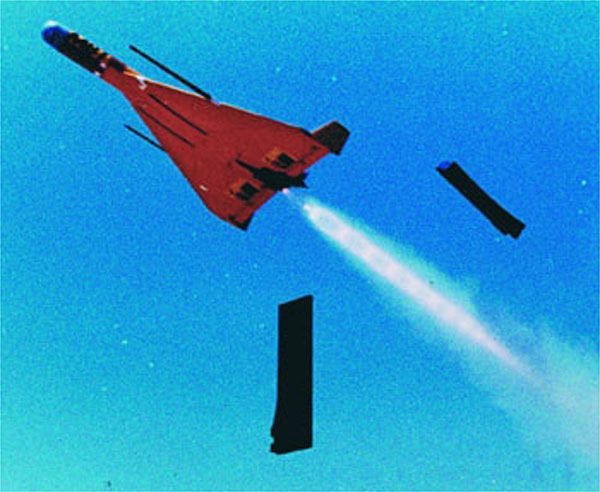 In June 1999 MBT and Raytheon Missile Systems teamed to market the more advanced Combat UAV Target Locate and Strike System (CUTLASS), based on the proven Harpy's UAV type airframe. Harpy is currently operational with several Air Forces globally. 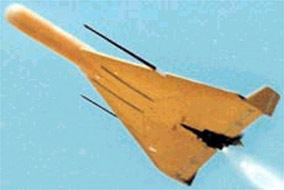 According to media reports, the Indian army has purchased a number of the armed Harpy drone, produced by Israel Aircraft Industries.